For a while now I've been seeing bonus cash deals from American Express where you get a statement credit if you use your Amex to make a purchase of a certain minimum amount at a specific merchant. For example, I recently got a $25 credit for spending $75 or more at Amazon.com. I also just barely missed getting a $15 credit for $115 spending at Costco.com but I procrastinated a little and was too late to grab that one before it expired. If you would shop at these merchants anyway, these deals can be like free cash. You can also usually buy gift cards at the merchants to qualify for the bonus so if you don't have anything you want to buy today you can use the gift card later. We routinely buy enough at Amazon such that spending $75 is just a matter of time. 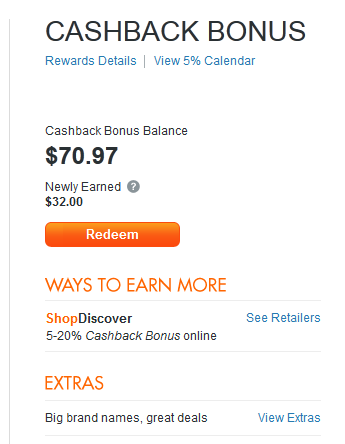 Looks like Discover card is now offering similar deals. I logged into my Discover account and noticed a link for 'Extra's which lists offers of a similar nature. The offers available vary from one customer to another and I'm not sure how they decide to give customers which offers. 4. For any of the offers you're interested in you will need to click the 'Save Offer' button to get the offer. 5. Make the required purchase at the merchant in question before the expiration date. Make sure to read the details of the offer to make sure you qualify properly. I noticed that one offer seemed to require you to receive the purchase before the expiration date. So pay attention. 6. 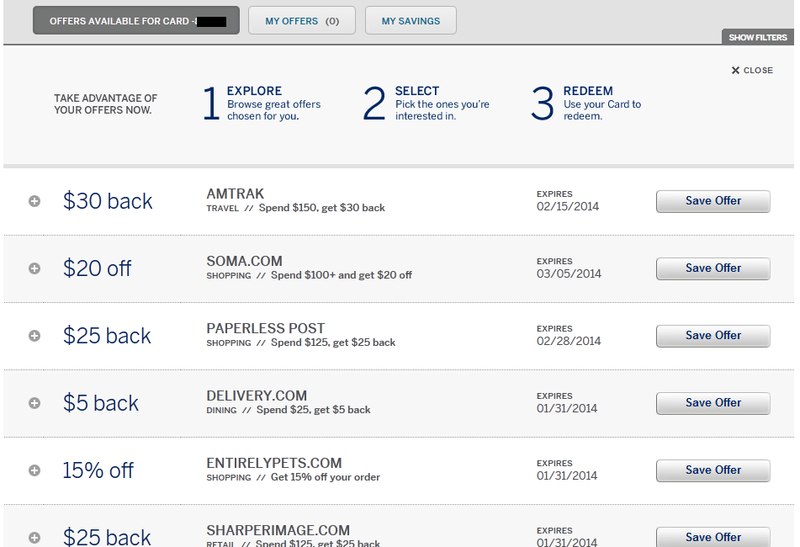 You'll get an automatic credit to your Amex card account sometime after the deal is processed. 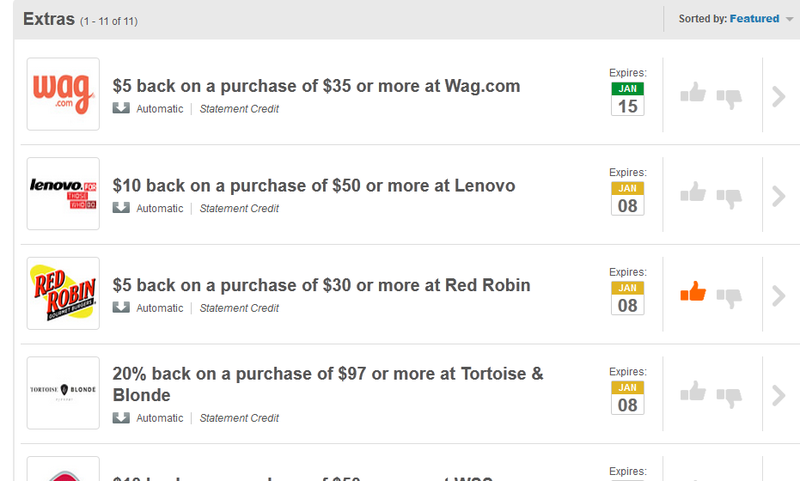 "$5 back on a purchase of $30 or more at Red Robin. Savings will be applied as a statement credit. To redeem this offer, you will need to spend a minimum of $30 at Red Robin, including taxes, after any discounts, and excluding gratuity. Offer valid in-store for one purchase. Purchases made using Near Field Communication (NFC), virtual wallets, or similar technology may not be eligible. Please allow up to 14 days for a statement credit to be applied to your account."